I’ll be honest, I hate low end appliances. Cheap junk that breaks down quickly is a waste of time and money. Even worse, those $20 Walmart appliances often look terrible on the countertop. Be honest with yourself, how many appliances have you bought that are used a handful of times and never see the light of day again? Three factors come into play as to whether or not I will love a new appliance. First and foremost, the tool actually has to be useful. These appliances can’t be specialty tools used twice a year. I need a workhorse that can be used multiple times a week. Secondly, the appliance actually has to look nice. If you’re too worried about hiding your appliance when company comes over, you’ll fall out of habit of using it. Finally, it has to be quick and easy to clean. Maintaining an appliance should not be work. 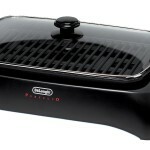 Now, I expect many grill purists will be freaking out that a website dedicated to Grill Reviews is reviewing a griddler. Here’s the thing, griddlers offer one of the closest grilling experiences you’ll get for indoor cooking. By no means am I claiming that an indoor griddler can out compete traditional charcoal and propane grills. 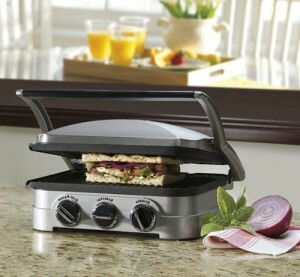 The Cuisinart GR-4N Griddler offers one of the better all-around indoor grilling experiences out there. For me, it hits all the needs I have for an appliance. 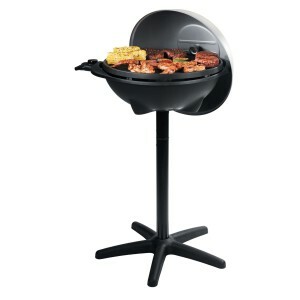 The Cuisinart grills well and quickly; meat comes out tender and juicy without a problem. Another bonus is it looks pretty nice. Has a sleek and modern look to it. Lastly, it is one of the easiest grills/griddles to clean I have seen. 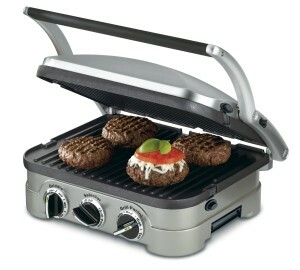 Below I will run through a full review of the Cuisinart GR-4N 5-in-1 Griddler. Three key questions will direct my review. First up, can the Cuisinart actually pass for an indoor grill? Second, will the Cuisinart make for an attractive appliance on the countertop? And finally, is cleaning the Cuisinart a simple and quick affair? A few more details will be covered as well, so let’s begin. Plenty of indoor grills out there don’t heat to high enough temperatures to safely cook red meats. That is not at all a problem for the Cuisinart. After letting your unit buildup heat, you can grill steaks in under five minutes, frozen burger patties in eight, and hot dogs in four. If you’re using the riveted plates, your meat will come out with black sears marks just like they would on a gas or charcoal grill. All you have to do is plug the griddler in, select the temperature, let the unit heat up, and begin cooking. No propane and no charcoal required, just clean and pure electricity. The Cuisinart Griddler makes a nice addition to a kitchen’s gadget repertoire. If you aim for a stainless steel look in your kitchen, the Cuisinart is definitely passable thanks to its brushed stainless steel housing. Truly I wish the Cuisinart’s body was fully made of stainless steel or chrome, but that is a little to expensive for the under $100 price range. Cuisinart has designed plenty of features to make the cleaning process as painless as possible. First up, all grease from the Cuisinart GR-4N drains into a grease tray under the cooking surface. To make the cleaning process even quicker, just line the grease tray with aluminum foil before cooking. Once done, just toss the aluminum foil out and you won’t have to clean the grease tray at all. To clean the cooking surface, just let the cooking plates cool down, and then place a couple of moist paper towels on the cooking plates. Close the griddler as it is powered off with the paper towels still in place, and let it sit for ten minutes. Once those ten minutes are up, wipe the plates down with a sponge or soapy paper towels to clean up all the mess. Far easier than cleaning a charcoal grill. I just love non-stick cooking surfaces. Things don’t crust to the surface and cause a nightmare during the cleanup process. This is incredibly important, don’t spray your cooking grates with Pan or any oth er spray. Non-stick cooking sprays gunk up the cooking surface, and begin to erode the non-stick layer built into the griddler. It’s fine to butter your bread or rub your meat in olive oil, but rest assured that this machine is designed to be non-stick. Don’t like to cook, but love home cooked food? The Cuisinart is essentially a hack to achieve these results. 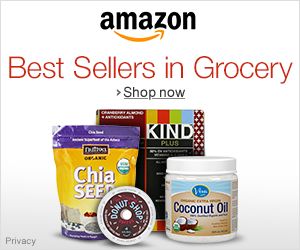 Ever use a George Foreman Grill or other cheap appliance? The Cuisinart is basically a deluxe model that works thoroughly. Cooking is just so simple, follow a recipe in the included cookbook, and just watch as your food cooks in six minutes or less. Results are stunning for the machines simplicity. Your food will come out hot, grilled, and gooey if plenty of cheese is included. Why settle for less? Bread with cold cuts, a slice of cheese, some tomato slices and lettuce, and maybe a bit of mustard is BORING. Take everything up a notch by eating a hot sandwich. Just think about this in your own mind. Compare a grilled cheese to a cheese sandwich. Which do you prefer? Honestly, the panini function of the Cuisinart is almost as useful as its use as an indoor grill. You just can’t beat a hot and gooey sandwich that takes only minutes to cook. Getting the additional waffle rack function will cost you an additional $30. However, the price is well worth it if you are a waffle fanatic like Leslie Knope. 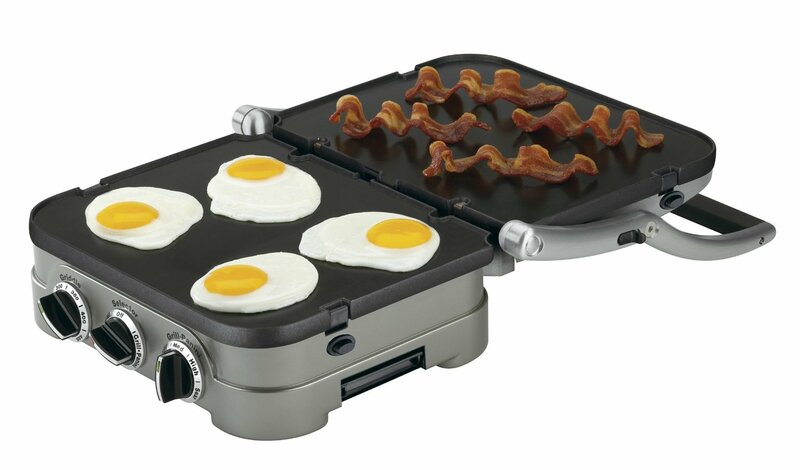 Even low-end waffle irons will set you back at least $30, and will likely be pieces of unused junk in the long run. The type of waffles you get at hotels are just great, and that’s what you get from the Cuisinart. All in all, a fun little addition to a nifty indoor grill. To be brutally honest, this grill is not going to last for more than five years. Even worse, you would be fortunate to get more than three years out of the Cuisinart. For any of you out there planning on using this regularly, realize that regular use degrades it faster. Yep, the sad truth is that this is not a product designed to last. It is relatively inexpensive for what it does, but will break down with time. First the non-stick cooking surface will begin to chip off. After that, plastic parts will crack or act up here and there. One of the greatest pleasures of traditional grills is lighting them up to cook burgers and dogs for a get together of friends and family. If you try to host a party with the Cuisinart as your centerpiece, you’re going to be laughed at. At the end of the day, the Cuisinart is a personal and family grill (as all indoor grills are), and not at all for entertaining. Perhaps you could cook some bacon on the Cuisinart as an addition to burgers, but don’t plan on cooking burgers and bacon on it. Indoor grills will never deliver that authentic BBQ we all have come to love. What kind of flavor does the Cuisinart deliver? Your meats will taste a bit greasy, if not moist and tender, but seriously lacking that smoky and charred flavor. If you want a quick workaround, I would recommend using smoked sea salt. However, this grill is not for BBQ purists. At best it is a nifty addition to a kitchen. Heat builds up quickly on the Cuisinart, and is essentially dispersed throughout the entire unit. If you touch the body of the Cuisinart while its cooking, you’re definitely going to end up hurting yourself. Just use your head when cooking. Always lift the griddler open by the handle. Wait for the grill to cool off after cooking before cleaning. Essentially it is like a hot skillet while cooking. 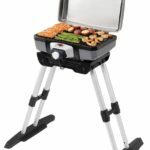 Looking for a More Authentic Electric Grill? Believe it or not, George Foreman actually delivers the more authentic grilling experience in this competition. I am not talking amount a cheap $20 countertop unit, but a standalone electric grill. Even better, the George Foreman Electric Grill is actually cheaper than the Cuisinart. Seriously consider this option if you have patio space. Want a Higher End Indoor Griddler? In many ways Cuisinart offers a full upgrade to the Cuisinart G4-4N with the GR-300WS Model. Gone are the somewhat clunky knobs, and instead is a neat digital control panel in the GR-300WS. Another major plus is the somewhat longer reported lifespans of GR-300WS models. Really the GR-300WS should only be purchased as an eventual upgrade to an indoor grill that burns out. Need a More Affordable Indoor Grill? The Delonghi Perfecto Grill Makes a Decent Choice. At nearly half the price, the Delonghi Indoor Grill delivers plenty of bang for the buck. If at the end of the day, all you want is an indoor appliance that can function as a grill, the Delonghi makes a solid choice. Now, the Delonghi only has a grill function. It can’t be used as a panini press or anything more than a flat riveted surface. A tough choice either way. At under $100, the Cuisinart GR-4N 5-in-1 Griddler scores on many fronts. Its compact and sleek design makes it convenient to just leave on the countertop for anytime use. Plus, the simple fact that it cleans up in minutes is a whole lot to love. Unfortunately this griddler just can’t compete with the big boys. Gas and charcoal just grill meat so much better than this griddler ever could. However, if all you’re looking for is an indoor device to cook for one or two people quickly and efficiently, then the Cuisinart is definitely a worthy choice. 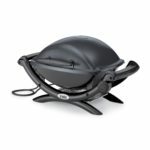 Overall, the Cuisinart GR-4N Griddler receives 3.5 stars out of 5.